This engagement setting from the Verragio Paradiso collection has a radiant reflection, thanks to center-stone-enhancing pave diamonds along the band! Your princess-shaped center diamond will be held in place with modern-looking U-prongs, while a bezel-set diamond beneath it and precious metal scrollwork are among the delightful details of a pretty profile. The piece is available in gold or platinum finishes, per your preference. 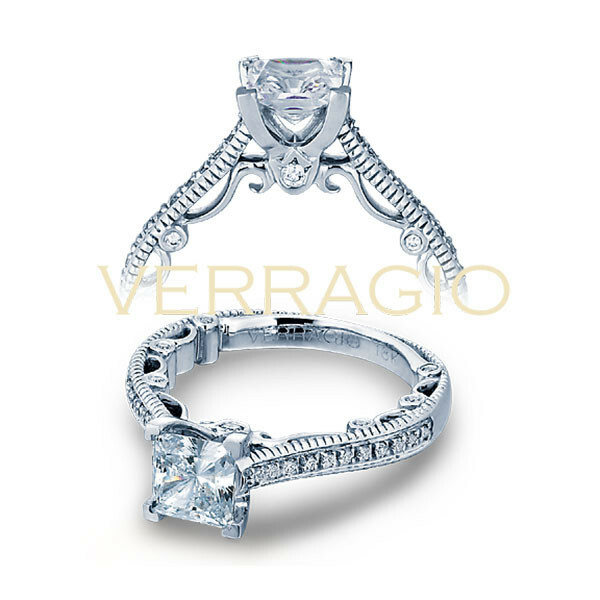 This Verragio engagement setting is bound to launch her onto cloud nine!